The Israel national rugby union team (Hebrew: נבחרת ישראל בראגבי‎) represents Israel at a national level in international rugby union competitions. 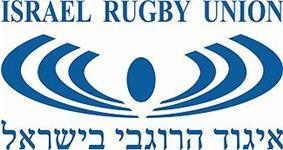 The team is governed by the Israel Rugby Union, which oversees all rugby union in Israel. As of 1st February 2015, Israel is ranked 57th in the IRB World Rankings. Their home ground is at the Wingate Institute in Netanya, Central District, known for its large number of immigrants from English-speaking countries. The sport was brought to the country by British soldiers during the Mandate era, but petered out after the British left. A wave of immigration from English speaking countries since 1967 has seen renewed interest in the sport, particularly in areas with large English-speaking populations such as Ra'anana and Jerusalem. Israel playing Lithuania in 2009. A national league was set up in 1972, and the Israel Rugby Union formed in 1975. Israel's first international match was away to Switzerland on 25 May 1981, and ended 9–9. The Union joined the International Rugby Board in 1988, and participated in the European section of the qualifying rounds for the 1991 Rugby World Cup. In a group with Denmark, Sweden and Switzerland, Israel lost all three matches, but were by no means humiliated. In the qualifying matches for the 1995 World Cup, Israel thrashed Hungary 67–8 in the preliminary round, before being knocked out in the Round 1 group stage, failing to score a point in two of their three games. The qualifying matches for the 1999 Rugby World Cup followed the established pattern, with Israel being knocked out in the group stage, though they avoided finishing bottom of their five-team group by beating Austria. The same happened in the 2003 WC qualifiers, where they finished fourth in a six team group. In the 2007 WC qualifiers they did not even make it to the group stage, being thrashed 113–7 on aggregate (0–53, 60–7) by Lithuania. Israel beat Slovenia by 26–19 at 11 May 2009, but lost to Lithuania by 3–19 at 23 May 2009, ending their campaign for the 2011 Rugby World Cup qualifyings. These were the first ever games of Israel to be televised. In the 2015 Rugby World Cup qualifyings, Israel won Division 2B of Europe qualification, defeating all opponents and being promoted to the play-off round. Since 2005 Israel has been a participant in the European women's 7's championship. On their first tournament the national team finished in a respectable 9th place (bowl winners), with wins over Malta and Austria. In the 2006 championship, Israel won the 5th place (plate winners) with wins over Bosnia, Luxembourg, Hungary and Malta. The 2007 tournament featured a fresh team with many young players. After winning against Luxembourg, Latvia, and Hungary, they lost in the plate final to Denmark. 2008 was a highlight year for the women's 7's-a-side team. They played in the qualifying tournament in Bosnia and finished 3rd, losing only to Romania (eventual tournament champion) and Finland (2nd place). The team recorded wins over Croatia, Georgia, Serbia, Austria and a thrilling 3rd place win over Bulgaria (7–5). They qualified for the European championship (which doubled as a world cup qualifier) and managed to score one win there, a last gasp win over the Czech Republic. 2011 – Division 3C champions, promoted up to round 2 in Europe qualification. 2015 - Division 2B champions. Israel is unique amongst the Maccabiah Games teams for two reasons, firstly it is the only true national team competing, and secondly, non-Jews who are Israeli citizens can qualify for it.